Located near the geographic center of California, Merced is a bountiful and thriving area known for its agricultural industry. The fifth largest producer of agricultural products in California, Merced and the surrounding county produce nearly $3 billion worth of raw agricultural products each year. In total, nearly 100,000 people employed in agricultural production or food processing in Merced County. This industry, although vital to the people of Merced, is also one of the most dangerous industries in the United States. Agricultural workers are seven times more likely to be killed at work than workers in all other private industries and they are 40 percent more likely to sustain serious injuries at work. Agricultural workers die at a rate of 20.2 people for every 100,000 workers and are injured at a rate of 5,500 per 100,000 workers. This means that approximately 5,520 people in Merced are seriously injured in the production of agriculture each year. Machinery accidents, including car accidents, account for most of the fatalities, while pesticide and other chemical exposures accounted for many of the serious injuries. Confined spaces on farms also account for a high percentage of farm fatalities. Finally, water and fire are, in some way or another, responsible for the majority of farm accidents. Tractor rollovers are the number one cause of farm fatalities, even since the development rollover protective structures. From 1992 to 2009, tractor rollovers were responsible for an estimated 90 farm deaths per year. Those workers not killed in these accidents faced severe injuries, including spinal and back injuries, head and brain injuries, including facial paralysis, crush injuries, and internal bleeding. The total number of workers solely injured by tractors in accidents, however, is quite low. 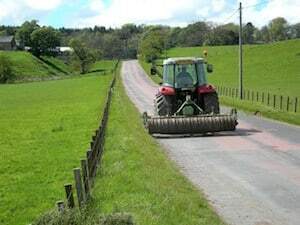 Most farm accidents are caused by motor vehicles. Driving to and from work is often the most hazardous part of a farmworker’s job. Narrow, poorly maintained roads and large vehicles often result in vehicle rollovers and other crashes. The most common injuries from these type of accidents are leg fractures and breaks, although rib, head, chest contusions and facial injuries are also typical. Harvesting machinery and other types of farming tools account for the remaining balance of accidents occurring on farms. In these accidents, workers typically face hand injuries when their limbs become entangled with fruit harvesters, hay choppers, threshers, and combine harvesters. Leg injuries are also quite common with these types of accidents. Injuries to the hands, arms, and legs range from cuts and bruises to crushed bones and even amputation. The risk of all machinery accidents are elevated with crop farmworkers as crops are typically harvested at night when low light conditions increase the risk of a worker being struck by a piece of machinery. As far as machinery injuries goes, traumatic injuries and death occur primarily because of vehicle overturns, followed by falls from vehicles and being struck by the machinery. Poorly maintained or defective equipment can easily cause serious injury as well. All powered machines also carry the threat of electrocution for workers. Many workers sustain traumatic injuries from falling on farms, not just falling off of machinery as mentioned above. These falls can certainly cause traumatic injuries, but far more often they cause broken bones or ankle and wrist sprains. Additionally, workers who fall in the course of their duties are also at risk for minor concussions that can have serious side effects if a worker sustains more than one in the course of his or her life. In total, contact within a work space causes many of the minor to moderate injuries sustained by workers. This includes the falls from above and falling boxes or other objects. Poorly maintained or organized storage areas for crops often increase the risk of items falling on workers. Head and shoulder injuries are common with this type of accident, as are dislocated joints from impact injuries. Farm workers engaged in produce and animal production are exposed to a variety of chemicals which may harm their health throughout their workday. Pesticide work often comes with the highest risk of injury. Some of the more minor health effects of pesticide work include rashes, eye irritation, nausea, and headaches. More serious injuries can occur, though, including seizures, difficulty breathing, cancer, and neurological conditions. In California, there are an estimated 1,000 reported pesticide-related injuries and illnesses, with an unknown number of undetected or unreported incidences. Pesticides are one of the most serious hazards for farmworkers and in 2005, the Supreme Court ruled that pesticide and herbicide manufacturers can be forced to provide monetary compensation for damages. This creates the opportunity for thousands of farm workers to seek legal remedy for injuries sustained while working. Confined spaces are another common source of farm injuries. Accidents in confined spaces include grain bin entrapments and entanglements, asphyxiation, and electrocution. In these types of accidents, hypoxic brain injury and crushed limbs are common. Additionally, victims may sustain extensive scarring, including the buildup of damaging scar tissue in the body. Confined space accidents account for many of the longer term injuries in farming where the extent of the damage is not fully understood until months or even years after the accident. In these cases, it is therefore especially important victims or their families seek experienced legal representation. Even if your injury is not discussed above, it is still important to investigate whether you may be entitled to monetary compensation paid through a personal injury lawsuit. Seeking an experienced medical professional and an experienced attorney will help ensure that your rights as a farm worker are protected. Young farmworkers, those under the age of 20, are most at risk for injury and often receive the least compensation for injuries. Each year, an estimated 113 of these at-risk workers die in the course of working on farms. As of 2012, 14,000 young workers are injured on farms every year, with 2,700 of those injuries attributed to accidents. Machinery and motor vehicles account for more than half of these accidents, while 16 percent of young farmworkers’ deaths are caused by drowning. These vulnerable workers’ injuries are then compounded by the lack of compensation for young injured workers. If your child, or another young worker, has been injured while working on a farm, it is important they seek experienced legal help. Young farmworkers are an essential part of the agricultural industry and they are entitled to the same compensation when injured. While those workers engaged in the production of raw agricultural products face great risk, so too do those workers who then process the harvested produce or livestock. These food processing workers face similar injuries from confined spaces and interaction with machinery. Accidents in agricultural product processing include crushed hands and broken bones from machinery malfunctions or unsafe storage areas. Food processing workers are an important part of the agricultural industry, but far less data exists about the injuries they sustain. That does not mean they do not get injured, but rather they have even less recourse when they are injured. If you or a loved one has been injured in a food processing accident, contact an experienced farm injury attorney. Agriculture is recognized as an inherently dangerous industry, yet the statistics that support this are incomplete. A University of California at Davis study found that the government agencies responsible for tracking injuries miss approximately 77.6 percent of all agricultural injuries. Of these unreported injuries and the reported injuries, a miniscule number of workers pursue lawsuits to receive damages. This places the $39 billion in agricultural injury costs on workers and their families, while placing an immeasurable cost on those families who lose a worker. Within California laws, you do not have to prove “fault” or “negligence” on the part of your employer as the worker’s compensation system operates on a “no fault” basis. Workers’ compensation benefits, though, are often less than the benefits available to those workers injured through negligence. By looking at both worker’s compensation claims and a personal injury lawsuit, I can help my clients determine their best option. A 2013 academic study estimated that farm injuries cost workers an estimated $39.1 billion each year in medical expenses, lost wages, and lost home productivity. These costs do not include the additional costs of the debt incurred or the burden placed on the uninjured family members. These costs, however, can be offset, or completely covered, by the damages from a personal injury lawsuit. A personal injury lawsuit examines the liability of all parties to make sure those responsible for your accident and subsequent injury are held responsible. With farming accidents, especially, these lawsuits require medical knowledge, legal experience, and an understanding of the agricultural industry. I have all of these necessary skills and can help guide you through the process. Hi. My name is Ed Smith. I am a Merced Farming Accident Lawyer. If you or a member of your family has suffered an injury due to a farming accident, please call me today at (209) 227-1931 for free, friendly advice. Read my customer ratings on Yelp, Avvo, and Google. Past Verdicts and Settlements page.